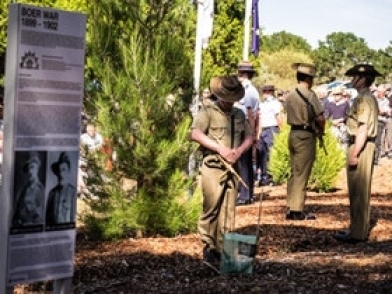 The Macclesfield ANZAC Memorial Gardens located in Macclesfield, Adelaide Hills is a large native garden that has been created to provide a place of commemoration and contemplation. Covering two acres the garden is filled with memorials and artworks to commemorate the service of local men and women in times of war. 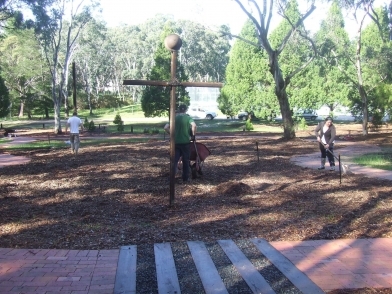 A meandering walking trail has the names of hundreds of local people inscribed in the paved surface, covering periods of service from the earliest days of the South Australian colony up to the present day. 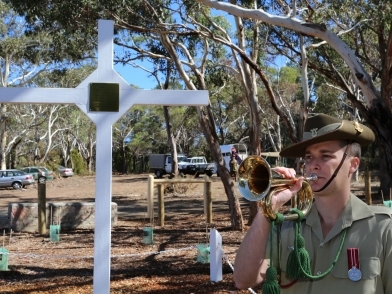 A dedicated commemorative area allows for formal and informal remembrance services to be conducted as well as a site for rest and reflection. A unique feature of the garden is the interactive element, as it encourages veterans to become involved with the garden in practical ways to provide an outlet for those that are in need of a place to feel a connection and find solace. 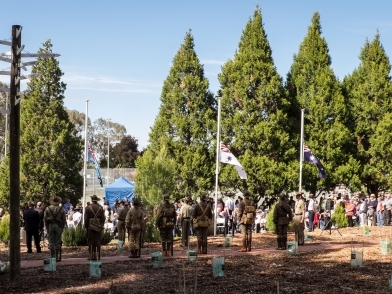 For those who enjoy gardening to budding artists and even just to enjoy a day in the hills, the Macclesfield ANZAC Memorial Gardens is worth a visit.